There is both Emergency Child First Aid and Standard Child First Aid. 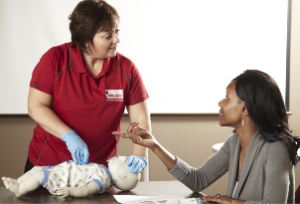 Child Emergency First Aid is a basic one-day course offering an overview of first aid and cardiopulmonary resuscitation (CPR) skills with a focus on childhood injuries and illnesses. The course is designed for those in the early childhood education industry as well as for parents/caregivers. It includes the latest first aid and CPR guidelines. 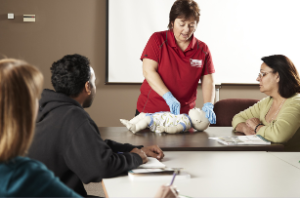 Standard Child Care First Aid & CPR and AED is a comprehensive two-day course offering first aid and cardiopulmonary resuscitation (CPR) skills with a focus on childhood injuries and illnesses. 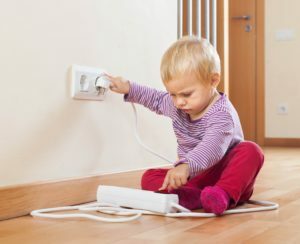 It is designed for those in the early childhood education industry or those who want more knowledge to respond to emergencies involving children and babies. It includes the latest first aid and CPR guidelines. We can set up a course at your facility or we can set one up elsewhere. The minimum class size is 4 and the usual maximum is 12. Contact us.